Should I attend my local flower or garden show? Yes, you should go! Why do you even ask? It ought to be a tradition now for you to attend if you live anywhere near your show, and even if you don't. It's a rite of passage of spring. First your crocuses bloom in your garden, then you go to the local garden show. Geez! 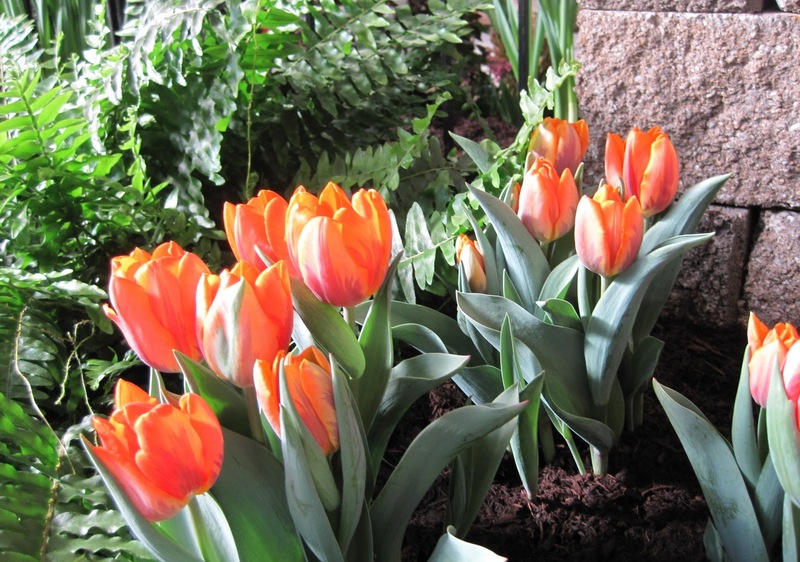 You'll get to see tulips blooming inside well before they are blooming outside, along with hyacinths, azaleas, and even impatiens and petunias. You'll get to smell good dirt, too, plus it is a chance to visit several different landscapers, even for a few minutes, if you are planning to ask a landscaper to help you in your garden. 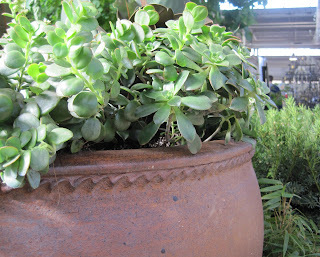 Succulents in a container show importance of details. When I attend a garden show, I am sometimes disappointed by the gardens which look more like hardscapes with a few plants thrown in for good measure. I don't see new plant introductions, just a lot of the same plants. What am I missing? 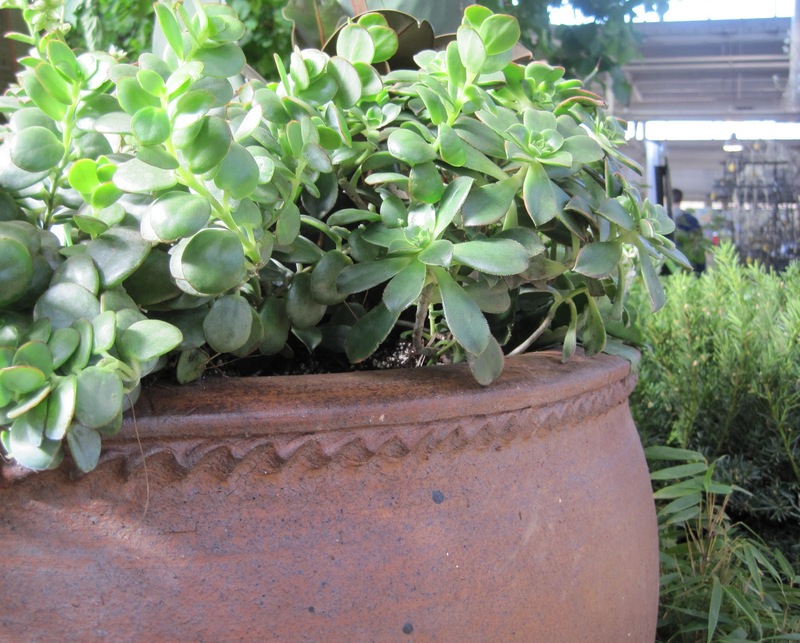 I think you are missing the beauty of the details to be found in some of the hardscape and planters. I think you should study those details and see how you might incorporate them into your garden because I believe the details are what make or break a garden. Yes, details make a garden your garden. Sure, sometimes it seems like the plant choices are limited, but remember it is March, and so it isn't always practical or possible to bring in a lot of new plants, which may not be all that easy to force into bloom or leaf this early. But there are still plenty of plants to see! 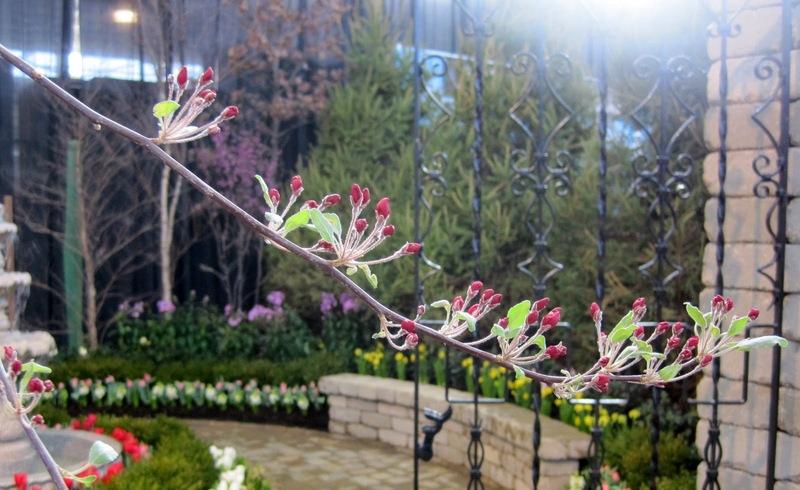 Do you see crabapple buds or a garden? 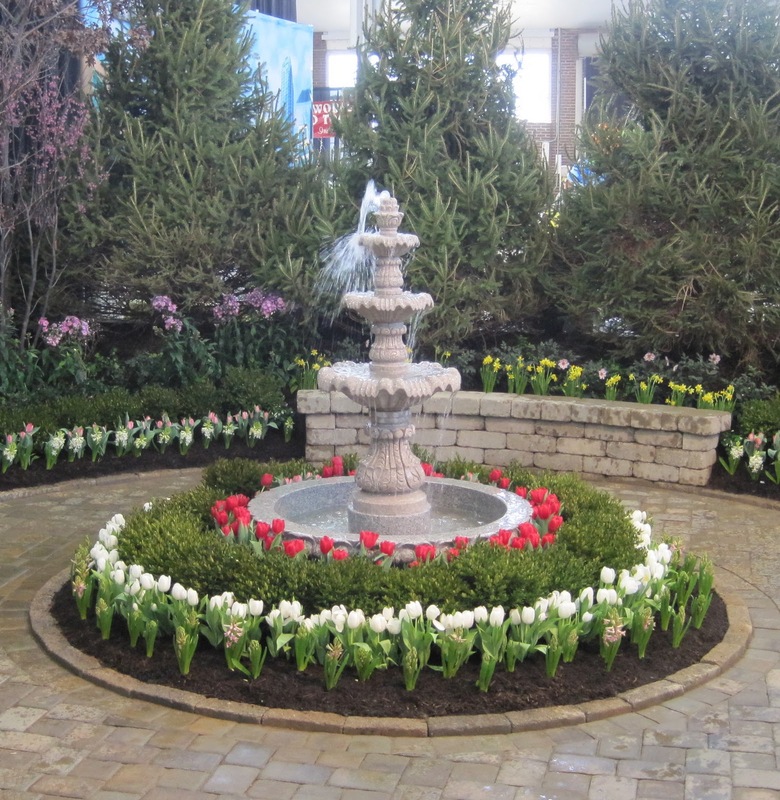 What did you like best about the Indiana Flower and Patio Show? 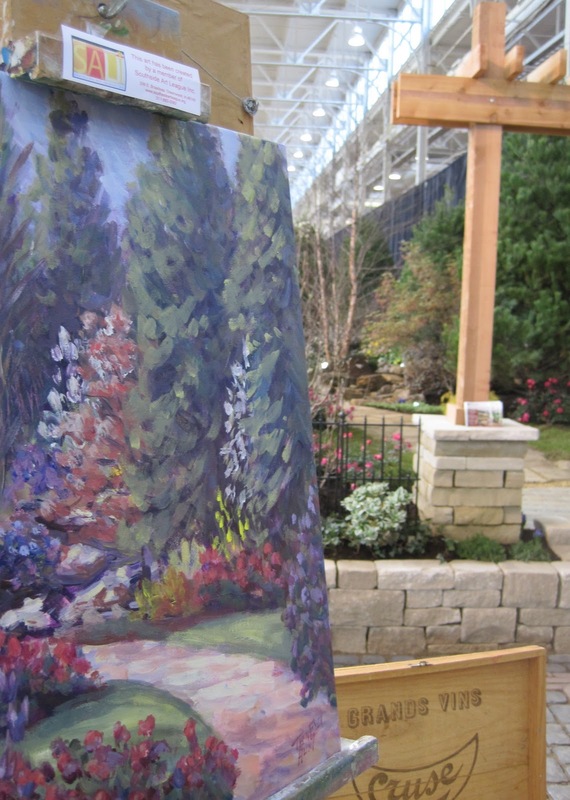 How this landscaper worked with an artists' group to showcase not only a garden, but paintings by local artists. 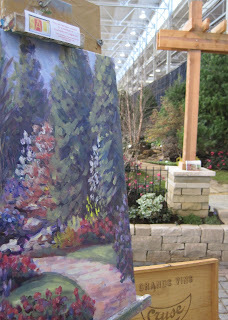 How many landscapers captured the feel of some of the neighborhoods of the city, which was the theme for this year's show. Visit Garfield Park in person some day to see the sunken gardens there. 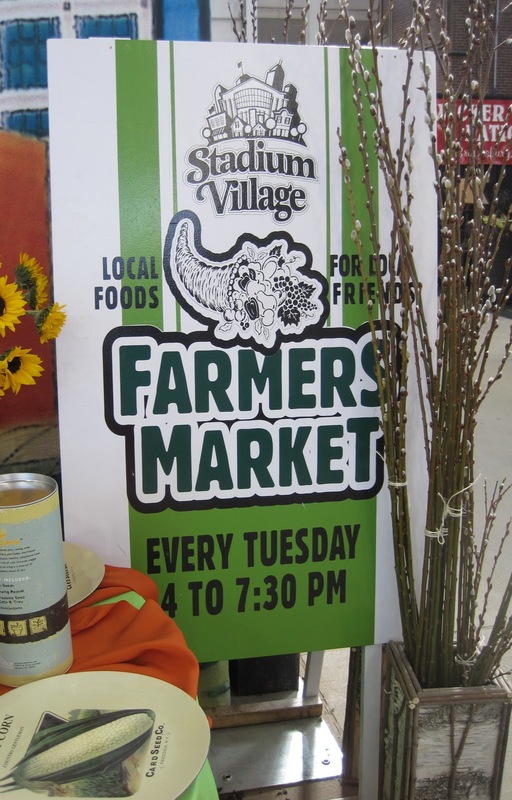 How a local florist decorated tables to represent businesses near her and promoted a local farmer's market. Go to the Indiana Flower and Patio Show to see the tablescapes! I went to the Flower Show in Philadelphia for the very first time yesterday. It was wonderful. Hortense is giving good advice. I'm going to try to make it an annual excursion. I am with you about the hardscapes. It seems like less of a display and more like an advertisement every year. 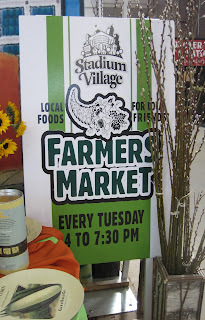 I will be going on Monday. Can't wait! My husband and I went to a gardens how once with our baby in tow. We were the only ones there under 65. Boy did we ever get some looks. Great advice, Hortense! 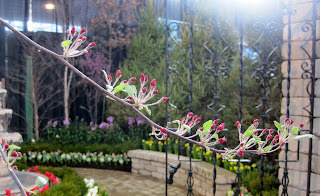 Although I was disappointed with this year's Chicago show, there was still lots to see and many inspiring details to think about incorporating into one's own garden. I seriously considered going to the Indy show as well, but didn't have time this weekend. Maybe next year I'll take in both! By the way, glad to see you're still available for advice. I've had a question I've been meaning to ask you for some time, but just haven't had time to get my thoughts together. Maybe now that spring is almost here, I'll get around to writing you. I find that I enjoy garden shows too much. I ditch work early on an almost daily basis so I can go and enjoy the show until it closes. Also, I cannot leave without bringing home "loot". Is this acceptable behavior? Whenever these shows come about, my id lords it over my ego and superego. Although this may be more of a concern for Dr. Hortfreud than for you. Thanks for the preview tidbits, Hortense.